Peter Parker's origin has always been tied to "with great power comes great responsibility", which itself stems from the passing of Uncle Ben. You might not have noticed it, but he even made it into Homecoming. Granted, it was quite subtle, but it was there. Writer John Francis Daley recently spoke to EW about Uncle Ben, confirming his existence in the MCU and Homecoming's world. At one point Peter says “all that she’s gone through”, referring to Aunt May. Daley confirms that was in reference to Uncle Ben. Daley also reveals there was a larger moment for Uncle Ben in earlier drafts. While Uncle Ben is an important part of the Spider-Man mythos, it's probably for the best that he didn't get more screen time in this version. People have seen Spider-Man's origins twice now on the big screen, and no one wanted a third go round. References it this way allows the film to get the character moments from it without rehashing it. 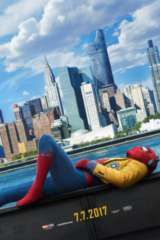 You can find the description for Spider-Man: Homecoming below. Guardians of the Galaxy Vol. 2 and Spider-Man: Homecoming are in theaters now, followed by Thor: Ragnarok on November 3, 2017. After that Black Panther debuts on February 16, 2018, while Avengers: Infinity War hits theaters on May 4, 2018. Ant-Man and the Wasp is slated for July 6, 2018, followed by Captain Marvel on March 8, 2019.